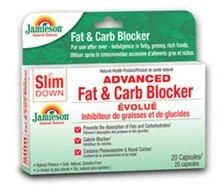 Slim Down Advanced Fat and Carb Blocker is another product from industry stalwart Jamieson. 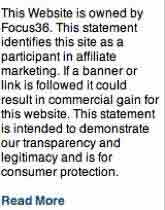 It is sold in many pharmacies and health food stores across Canada and available to buy without the need of a prescription. It is a proprietary weight management formula created from natural ingredients that are scientifically and clinically proven to neutralize the body’s ability to process fat and carbohydrates quickly after a meal. Fat and carbohydrates are essential for our body to function at its optimum. They provide the “fuel” for energy. Take on too much fat and carbohydrates on a daily basis and this “fuel” get converted to body fat and stored for later use. It is the accumulation of this stored fat that is largely responsible for a person putting on weight in places such as stomach, buttocks, hips, waist and upper arms. The formula contains patented fat-binding ingredients that work by stopping the stomach from absorbing and digesting a portion of fat and a starch (carbohydrate) from meals. The fat blocking ingredient neutralizes the enzyme that converts carbohydrates (foods such as pasta, bread, potatoes and rice) into sugar, which is then subsequently stored in the body as fat. In addition to reducing the body’s ability to digest and absorb fat and carbohydrates after a heavy, calorie-dense meal, Slim Down Advanced Fat and Carb Blocker may also help to maintain healthy blood glucose and cholesterol levels and control the appetite. There should be no negative side effects if taken as recommended as per the manufacturers usage instructions. There are many opportunities to buy in-store at leading pharmacies across Canada such as DRUGstore Pharmacy, Pharmaprix and Loblaws. If you are looking form a diet pill that prevents the absorption of fat then products such as Alli and Proactol are a better option. 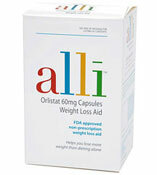 Alli is a fat blocker that can help you reduce your fat intake by approximately 27% per day, it is based on the prescription diet drug Orlistat (brand name Xenical but available to buy over the counter without prescription.